This is the heavyweight champion firewood processor of the world. Weighing in at over 18,000 lbs, the Model 3040xp2 and 3040xp2 ss are purpose built to meet the most rigorous demands of large, crooked, and low grade logs. This machine is purpose built for log yard cleanup, tree services, wood recyclers, and high volume firewood producers. With outstanding features like the shuttle grapple infeed, operator cabin enclosure, electric operator joystick conrols, night processing lights, and a 4-strand log deck, this machine is sure to impress. Outstanding new features since 2014 include a variable displacement pump for improved hydraulic and fuel economy, a laser guided wood measuring system with +/- .25 inch tolerance, and a new redesigned operator cabin interior including 7-way adjustable suspension seat with built in joystick pods. The Multitek 3040xp2 is available with a 48" bar and chain with rugged duty 3/4" pitch saw chain or an ultra fast low maintenance 72" carbide tipped circular saw. This machine is a game changer when it comes to high volume and difficult species of wood. You may tailor make your 3040xp2 to meet your demanding needs. 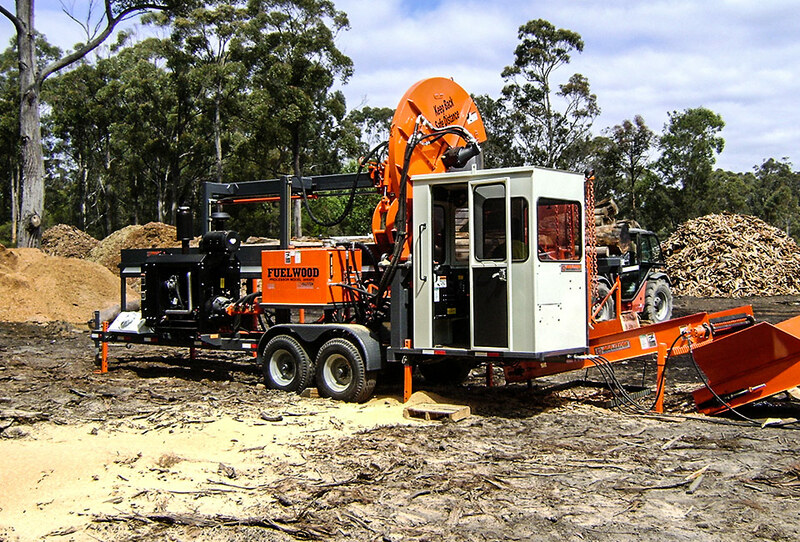 The machine is available with an ultra rugged Australian hardwoods package and 125 hp Turbo Charged John Deere Diesel for defeating the toughest timbers in the world. The machine is very well suited for Australian red gum, jarrah, and ironbark. 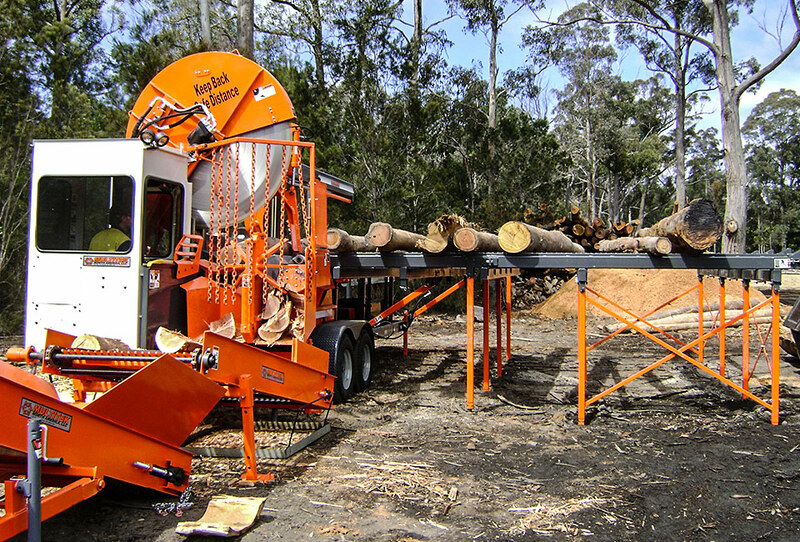 The machine is also available with up to a 6-strand hydraulic log deck for the most crooked troublesome logs around. It will process logs up to 34” (86 cm) in diameter and logs over 40’(12.2 m) in length. The Model 3040XP2 features the PowerTech Series 125hp (87 kw) turbo charged John Deere liquid-cooled diesel engine, four chain live deck arms and a patented overhead log in-feed shuttle grapple. It additionally includes a durable 3/4" pitch 11h saw chain and a saw chip blower. The 3040XP will quickly split the most difficult hardwood blocks into firewood with a powerful hydraulic splitter using a floating interchangeable 4,6, 8, 10, 12, or 14-way splitting wedge. 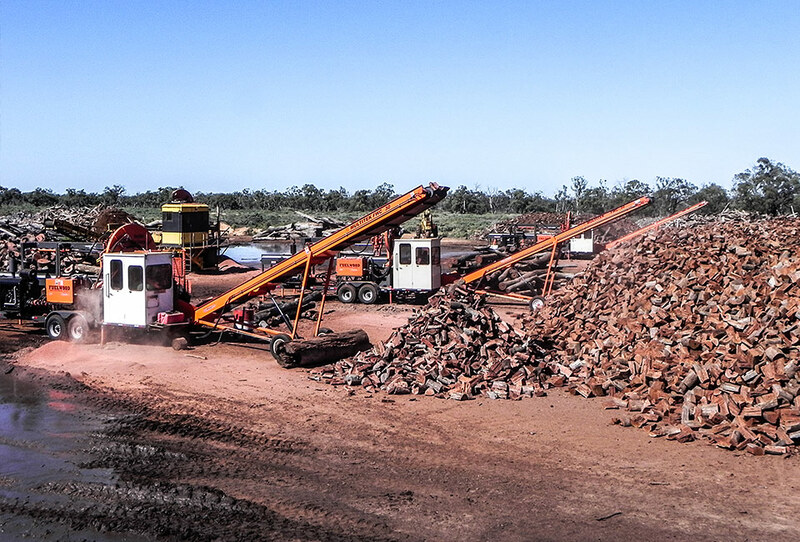 Popular options for the Multitek 3040xp2 include; the wood debris firewood tumbler, 10' log deck extension, and Model FWC-30, 30’ (9.14 m) conveyor for loading.